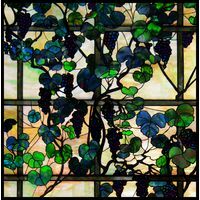 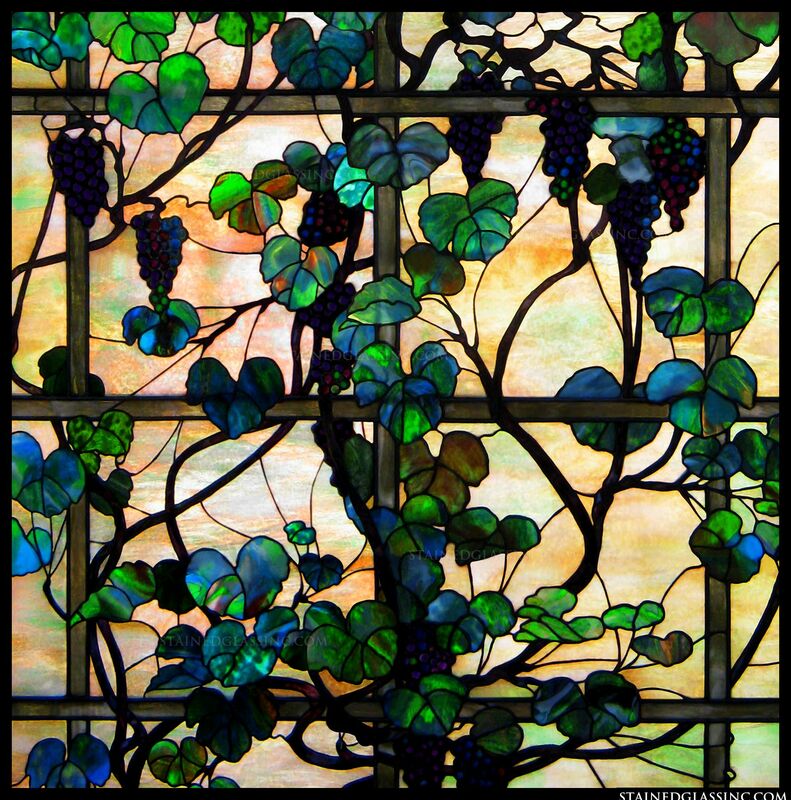 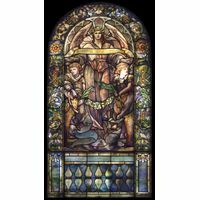 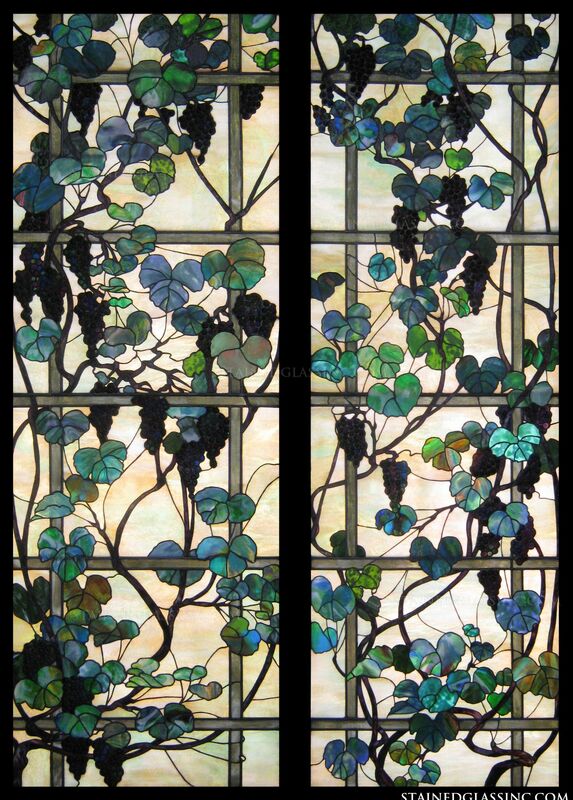 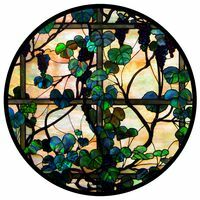 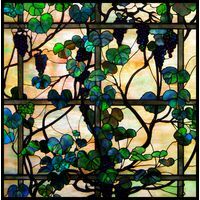 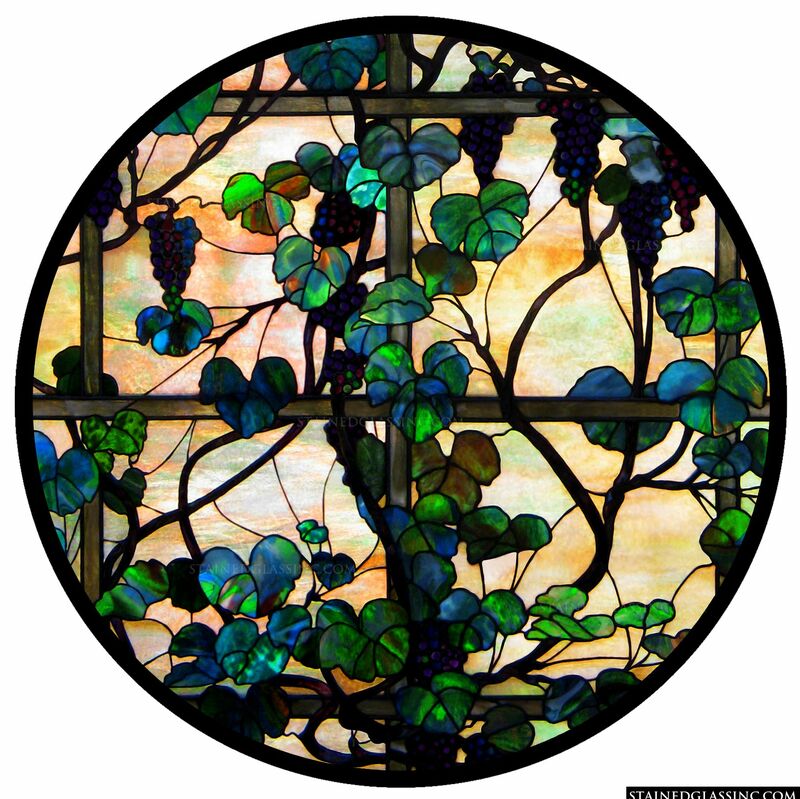 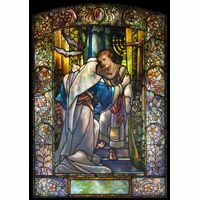 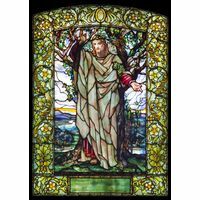 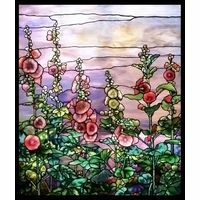 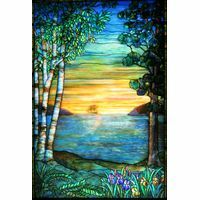 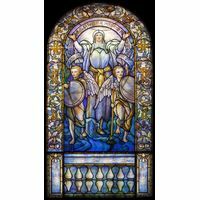 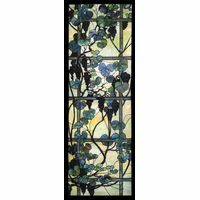 Green and blue grape vines crawl on and through a grey trellis in this one-of-a-kind stained glass illustration. 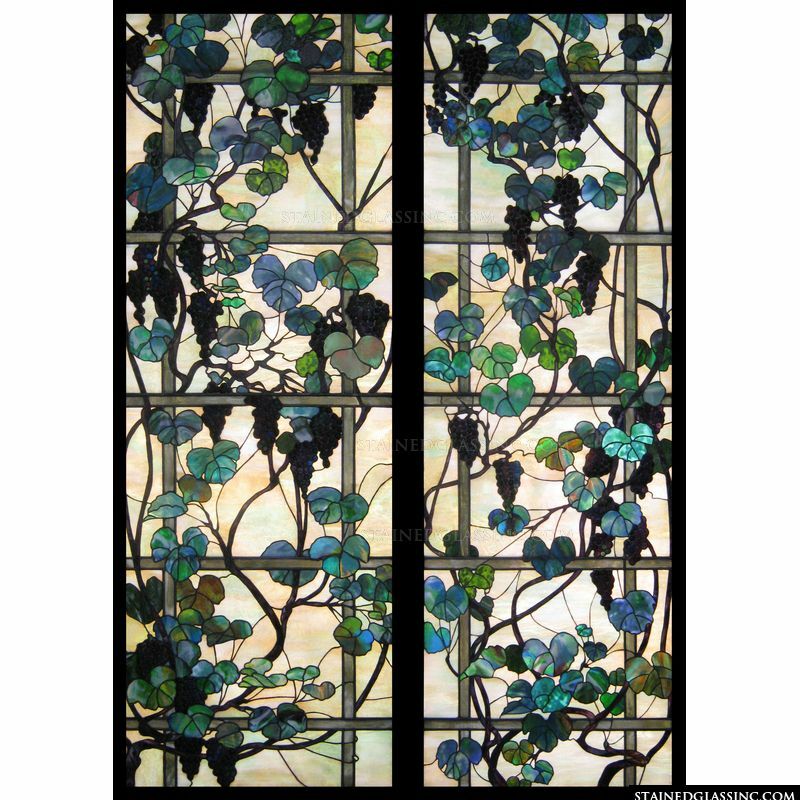 This piece would be stunning in a kitchen or restaurant atmosphere. 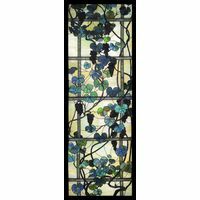 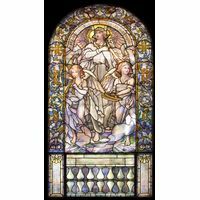 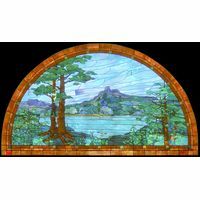 All our window inserts are custom made to fit perfectly in front of your existing windows or can be made to any specifications and used as a hanging sun catcher or any other application.